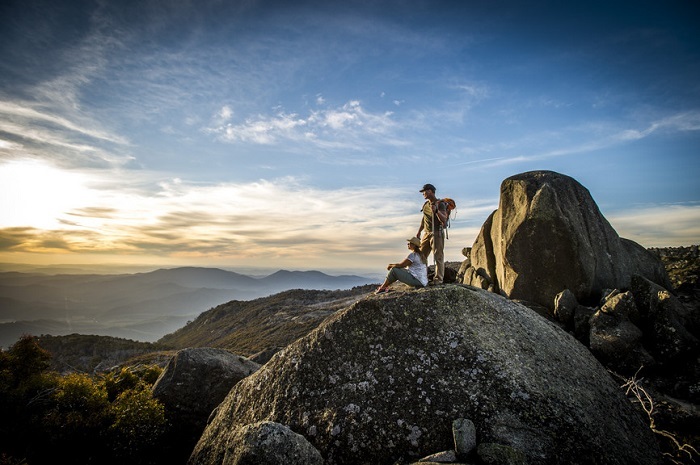 Explore the beautiful countryside on the Sydney to Melbourne Tour, a 2-day adventure that takes you to the heart of the political centre of Australia. You'll get to know the vibrant city of Canberra with a guided tour of Parliament House, free time at the National Museum of Australia and time to reflect at the Australian War Memorial. 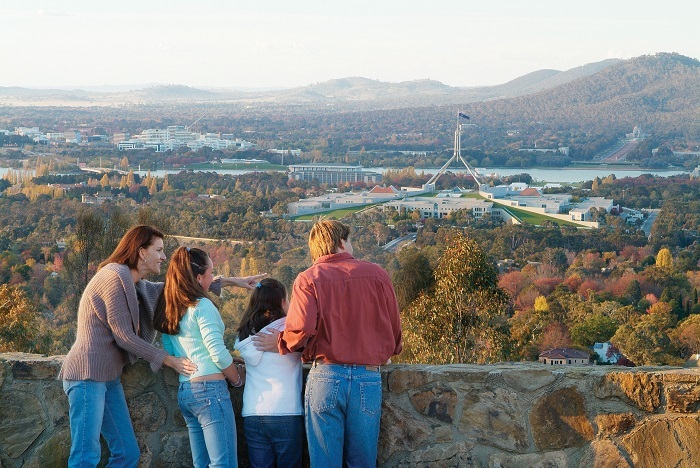 Stay overnight in Canberra and discover the city's night life before heading to Melbourne and arriving in the evening. Please note that as dormitory accommodation is included in the tour price, passengers travelling with children will need to upgrade to a private room. Please contact us to check availability of a private room upgrade for your dates of travel. Hostel upgrade – twin or double (shared facilities) – $90 per room. Sole traveller – $130 per room. 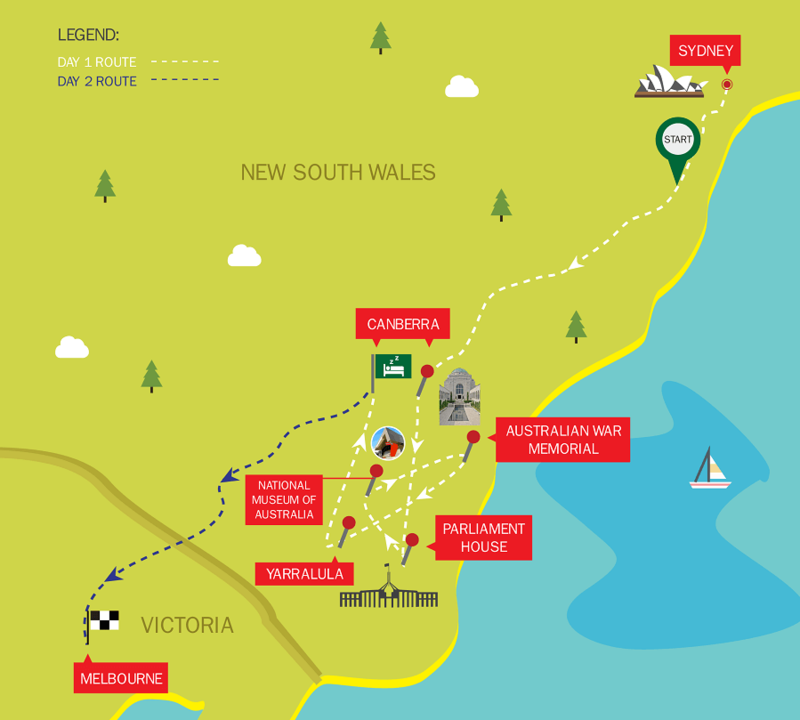 On the first day, we’ll leave Sydney and head towards Canberra via the beautiful Southern Highlands. 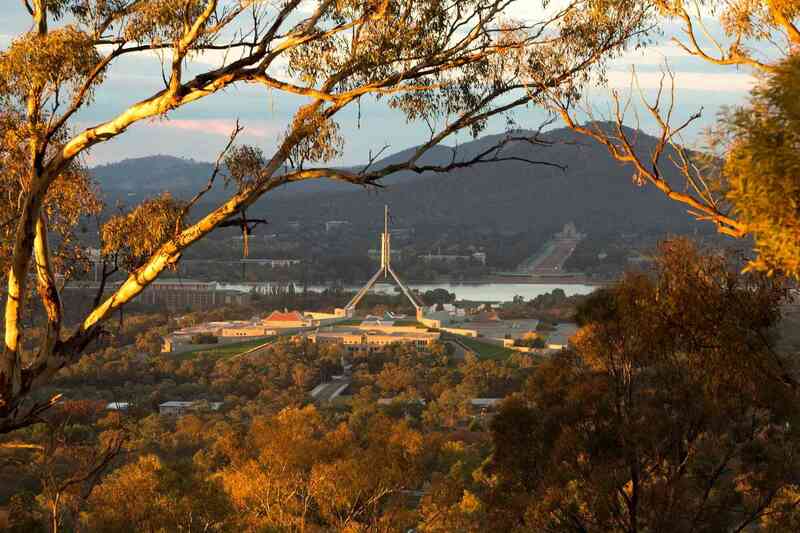 We kick off our exploration of Canberra with a guided tour of the reason the city exists – Parliament House. We enjoy a break for lunch (at own expense) before enjoying some free time to explore the National Museum of Australia. 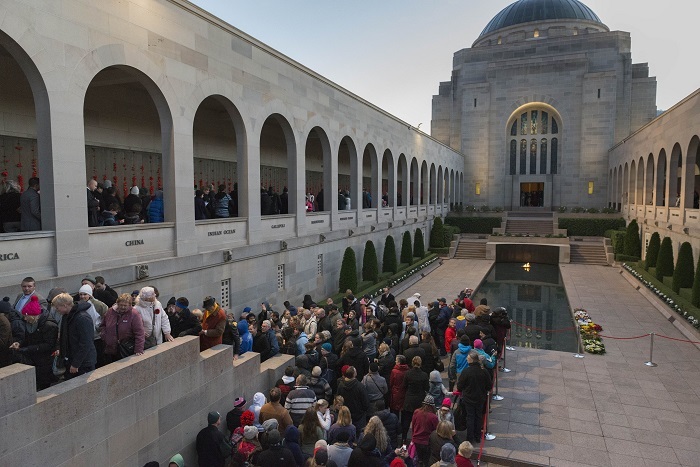 Here you will have 1.5 hours to explore the cultural treasures at your own leisure before regrouping at the Australian War Memorial. Here you will learn about the ANZAC’s involvement in conflicts around the world and reflect on the losses suffered by Australians in past wars. We enjoy a drive through the picturesque suburb of Yarralumla, where you can admire the national embassies of many countries, before arriving at our accommodation for the night at Canberra City YHA. The hostel is conveniently located close to restaurants, bars and shops so after you have checked in you can experience the nightlife of Canberra. Day two kicks off with a continental breakfast before you make your way to Jolimont Centre to meet the coach for Melbourne. You’ll pass through the country scenery of New South Wales and Victoria before arriving at Southern Cross Station at 5:00pm. You’ll arrive in the centre of Melbourne, where it is easy to make your way to accommodation or public transport links, ready to explore a new city!